Unlike organic processes to gain website visits and generate clicks, Pay Per Click (PPC) advertising places your ad at the top of search engines and instantly generates traffic to your site. Increase the number of conversions from internet searches to paying customers for your business. Pay per click ads are the equivalent of moving your fruit stand from the back corner of the market, to the very front. We integrate your ads with professionally built landing pages to ensure that we are maximizing conversions. 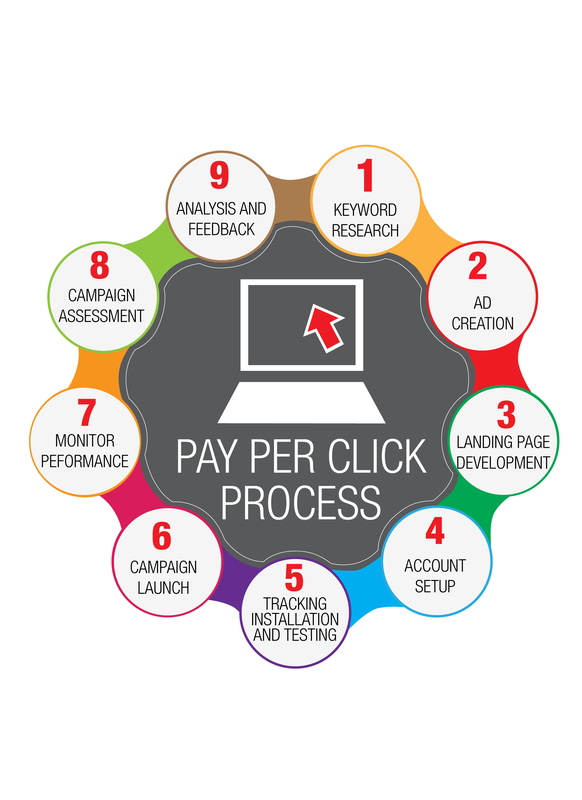 Pay Per Click (PPC) advertising is all about your ROI. Our end goal is to make your business more money, that is why every month we supply custom analytics reports that will allow you to instantly see how much you spent, and how much you have profited. We are constantly analyzing and managing your PPC accounts to maximize conversions and traffic. 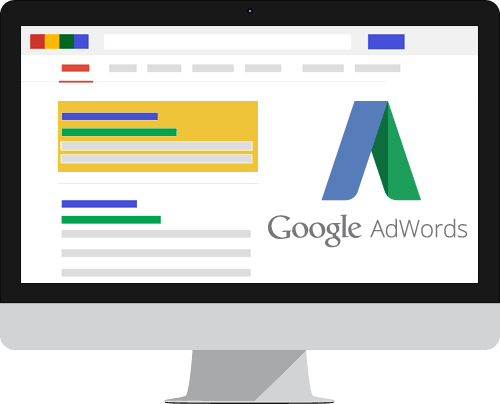 Google adwords is the leading tool for pay per click advertising, we are fortunate enough to have dedicated google adwords specialists on our team. PPC advertising allows you to have your website boosted to the top of google, and in return you pay every time someone clicks on it and is directed to your site. The return on investment for PPC advertising has proved massive with over 41% of all google searches resulting in the user clicking on a paid ad. Allowing us to manage to your adwords account will give you the edge of using our experience and proven techniques to result in success. Google adwords is a highly intricate system to use and not having a completely full understanding of how to use it usually results in a massive amount of wasted money and time. You will be designated your own dedicated Pay Per Click (PPC) advertising manager who will not only create your campaigns and ads, but also manage and analyze them. Your account manager will learn your business and be your primary contact for your Pay Per Click (PPC) advertising and management. You will have daily 24/7 access to contact your manager. Monthly analytics reports will be sent directly from your manager to you. Before we can do any keyword research, or begin to create ads we need to have a firm understanding of your business and the target market you wish to capture with your Pay Per Click (PPC) ads. We will access what services or products you wish to market, where you wish to market them to, and your target demographic of what your customer profile is. Once we have your target market defined and understood we start to research your keywords. This gives us an idea of what costs for ads and keywords will be and what projected impressions will be. Campaign cost and deployment is heavily dictated by your competitors in the market. Think of the ad placement on search engines as a bid war for who gets the first spot. For example a popular keywords such as “auto mechanic” may have a high cost because of it’s popularity and abundance of companies advertising for the same keywords. A more unique keyword such as “victorian era brass door handle polishing” will have a very low cost because their will not be very many people bidding on that keyword. We are now ready to create your ads! We will create your custom Pay Per Click (PPC) ads including, your headline, call to action, copy and keywords. Once we have the ads fully created and ready start, we launch them. We will monitor your campaigns and ads and make changes to ensure that we are maximizing your ad spend. A/B Split Testing (creating two similar ads to see which one provides better results), negative keyword management (creating a blacklist of keywords that we don’t want to come up for) and other management tasks will be performed routinely. At the end of every month, you will get a custom in-depth report from your Pay Per Click (PPC) manager that will cover your progress. You will know exactly how your money was spent, where it was spent, and what the results were including your ROI.